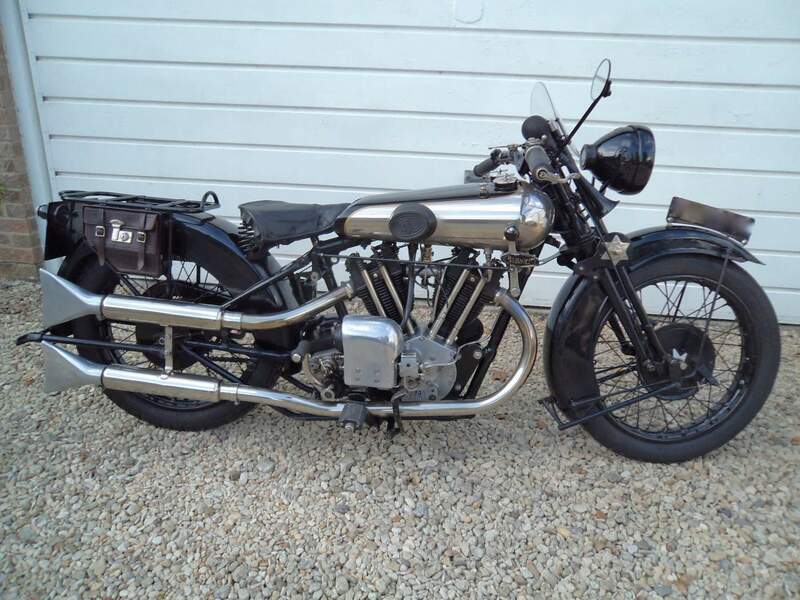 Brough Superior 1928 OHV 680cc, Current owner has owned the bike for around 20 years. 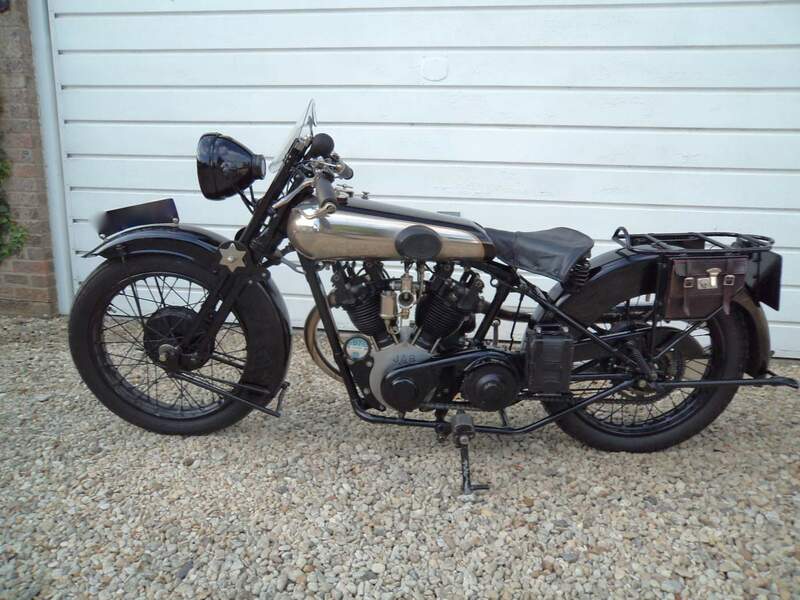 It has all matching numbers and is all original except the petrol tank since the previous owner had a new one made. 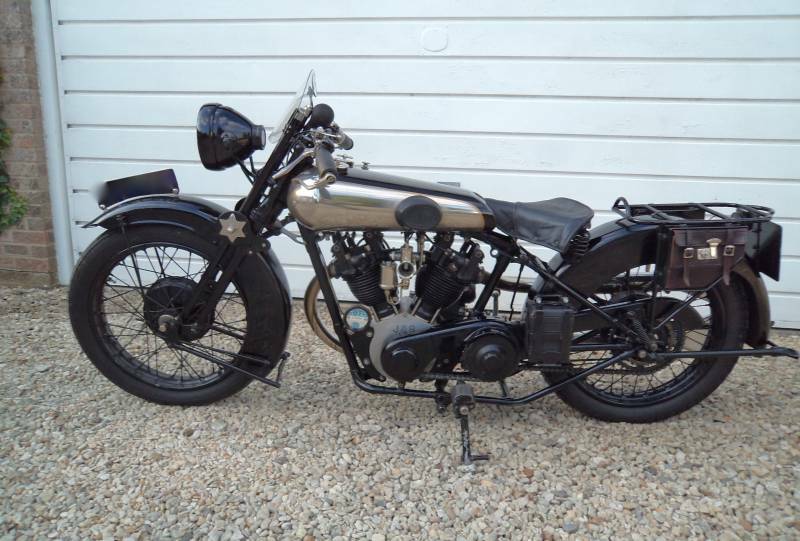 Been use for three Banbury runs and a number of Brough Club rallies. It is really easy to ride being a bit lighter than some other models and is lower in the saddle. It is a local bike to Oxford since it was originally supplied through Leightons of Oxford who were the Brough agents for this area.